Simplicity is the best! This danish butter cookies were so awfully addictive that me and my kids just polish it off within 2 days :) This is a type of cookie that I will make over and over again as it is effortless to bake it and super yummy! Butter softened in room temperature for over 24 hours, only needs a couple of whisking and the dough comes together in less than a min!? Sift icing sugar and plain flour. 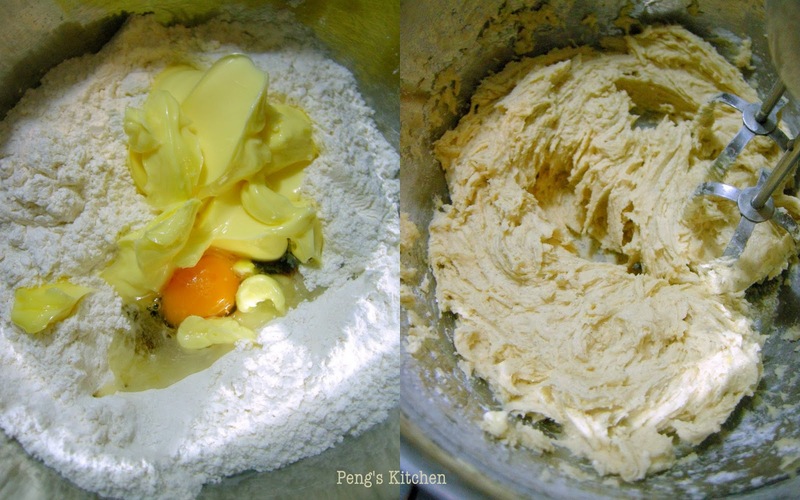 Place all ingredients in a mixing bowl. Using a electric whisk, beat on low speed for 30 secs. Scrap down the side and beat for another few secs till mixture is smooth. Do not overmix. Transfer dough into a piping bag using 1M wilton tip. Pipe wreaths onto lined baking sheet. Bake in preheated oven at 200 deg cel for about 10-12mins until golden brown. Cool cookies completely before storing in airtight container.